Is it easier for you to give $120 or $10? For most of us, it's a lot easier to come up with $10. However, $10 a month equals $120 a year. Did you know you could give a weekly, monthly or yearly gift to PATH Intl? Through our partner Giving First, you can easily set up this type of gift. If you give $10 a month, or $120 a year, it's enough to pay for one day of learning for a scholarship recipient at the PATH Intl. conference. Click here to learn more. Last chance to exhibit at the 2012 PATH Intl. Conference! Get your business in front of EAAT professionals today. Contact Megan for more information. The PATH Intl. Conference and Annual Meeting is only two weeks away! While we are busy preparing last-minute details, we thought we'd remind you of a couple of items to help make your conference experience a great one. Remember: You will need to show your name badge to get into sessions and to get on the bus for the horse expo. You will also need meal tickets for every meal. These will be in your registration packet when you register at the hotel. This policy will ensure that everyone who registered gets the full benefit of the conference. Please don't forget them! The Hyatt is full. Please check the Coast Hotel, which is approximately 1 mile from the Hyatt Regency. The hotel is offering attendees a rate of $109/night. Call (425) 455-9444 to make reservations. The hotel offers complimentary parking, wi-fi and breakfast. It also has a small complimentary shuttle and will do its best to assist attendees with getting to the Hyatt. Shuttle Express has provided a web portal for PATH Intl. Conference attendees to book transportation from the airport to the hotel. On this portal, you can quickly and easily choose whichever form of transportation you would like and pay your own fare. Click here to begin. The average temperature in the Bellevue/Seattle area during October and November is in the 50s with lots of rain, anything from a misty drizzle to heavy downpours. Be sure to pack your rain gear (although an inside source noted that if you want to blend in with the locals, don't use an umbrella). But have no fear! If you forget that warm jacket that is just perfect for street strolling, you can always purchase an extra hoodie or sweatshirt at the PATH Intl. merchandise booth. Silent Auction Competition - Get Your Game On! 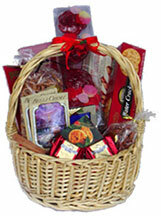 As you know, every year we ask that regions donate a region basket (or baskets) for the PATH Intl. Conference silent auction. PATH Intl. will again award $200 of marketing support for the winning region's 2013 conference. The winning region is determined by which basket (or combined baskets) raises the most money for the silent auction. We always appreciate the donation of any baskets, boxes or pails. However, if you don't have one, bring your items anyway! We will find a container for them. Bring your items with you to the conference and drop them off in the Silent Auction/Exhibits room located in the Grand Ballroom of the hotel. We always look forward to the variety and interesting goodies the regions contribute. We can't wait to see what this year brings! Did you hear about all the fun the Society of Visionaries had at the 2011 PATH Intl. Conference? You also have the opportunity to join in the fun in 2012 on November 2 in Bellevue. The Visionaries will get a behind-the-scenes tour and lunch at Pegasus Training and Equine Rehabilitation Center, a site known for its "care without compromise" of the equine athlete. For more information, contact Megan Ream Ferry, (303) 452-1212, ext. 107, or donate now to become a Society of Visionaries member. PATH Intl. Community Connections Day! If you missed signing up for PATH Intl. Community Connections Day, it's not too late. On-site registration will be available on the morning of Tuesday, October 30th. This year's pre-conference has something for everyone, including opportunities to learn from industry professionals about funding your center, furthering your career and working with veterans. Click here to read descriptions of each presentation. The cost for the entire day (lunch included) is $75 for PATH Intl. members. Article VI, Section 2 will be discussed and changes voted on at the annual meeting on Friday, November 2, 2012, in Bellevue, WA. The following task force members were assembled after last year's annual meeting to review and propose changes to Article VI, Section 2. Below is the current bylaw followed by the proposed revision. Your input is valuable to the future of PATH Intl. Please review the following bylaw change which will be the only bylaw discussed at the annual meeting. Click here for the PATH Intl. Bylaws in their entirety. Section 2. Election of Trustees. Trustees shall be elected by the Voting Members and will assume office at the close of the Annual Meeting. Voting for trustees shall be by United States mail or by electronic means, including, without limitations electronic mail, telephone, or facsimile addressed to each member at such address, including electronic address, or telephone number as it appears on the rolls of the association. The ballots containing the names of all nominees shall be mailed to all voting members no later than July 15. Ballots must be returned by mail, FAX or other electronic means to PATH International Headquarters to be received no later than September 1. Only one ballot per voting member will be allowed. Ballots shall be counted by the Chief Executive Officer and two members of the Association's staff on or before September 15. The results of the ballot count shall be certified to the existing and elected directors within ten days of the count and to the Voting Members at the next Annual Meeting. Ballots will be destroyed at the close of the Annual Meeting. Trustees shall be elected by the Voting Members and will assume office at the close of the Annual Meeting except as otherwise provided for herein. Nominations for Trustees shall be made in accordance with a written policy and procedure of PATH International as the same may be amended from time to time. Voting for all other Trustees by the membership shall be by United States mail or by electronic means, including, without limitation, electronic mail, telephone or facsimile addressed to each member at such address, including electronic address, or telephone number as it appears on the rolls of the Association. The ballots containing the names of all nominees shall be available to all Voting Members no later than August 30. Ballots must be returned by mail, facsimile or other electronic means to PATH International headquarters no later than September 30. Only one ballot per voting member shall be counted by the Chief Executive Officer and two members of the Association's staff on or before October 5. If the Chief Executive Officer is unavailable during the time that ballots are to be counted, the CEO may delegate this responsibility to a staff Director. The results of the ballot count shall be certified to the existing and elected Trustees within ten days of the count and to the Voting Members at the next Annual Meeting. Ballots will be destroyed at the close of the Annual Meeting. Upon recommendation of the President and approval by a majority vote at any scheduled meeting of the Board of Trustees, the Board may appoint up to two additional Trustees at any time during the year. Only two such Trustees may be appointed in any one year, and no additional Trustees may be appointed if the Board would then exceed the maximum number of members provided in Section 1 of this Article VI. These additional Trustees shall be Voting Members and shall hold office until the next duly constituted annual election. Welcome New PATH Intl. Centers! PATH Intl. welcomes these centers that joined PATH Intl. in September 2012. If you want information on center membership, contact Karen Province. What's Happening on PATH Intl. Community Connections? New discussions are happening every day on PATH Intl. Community Connections. Use this valuable resource to share knowledge and connect with other industry professionals. Do you have suggestions for working with young adults with non-verbal learning disabilities? Do you have examples of activities that worked best or a sample curriculum? Share your experiences with your fellow PATH Intl. members in the Instructor Community. 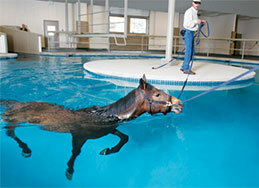 What is your center doing for its equine-facilitated learning program? Share your ideas and find out what other centers' programs look like in the EFL Community. Check out these and many more discussions by logging in to PATH Intl. Community Connections. The Equine Welfare Committee would like to invite members to join our monthly webinars on "Best Practices for Equine Care & Welfare." The next webinar is Friday, October 19th, at 7:30 p.m. Eastern Time. If you are interested in participating in this very informative webinar, log in to the PATH Intl. online store and "order" (at NO cost) this webinar. At the completion of your order, you will receive an email giving you the information you will need to participate/join in the webinar. EWC member Cathy Languerand will be your host for the October 19th webinar. 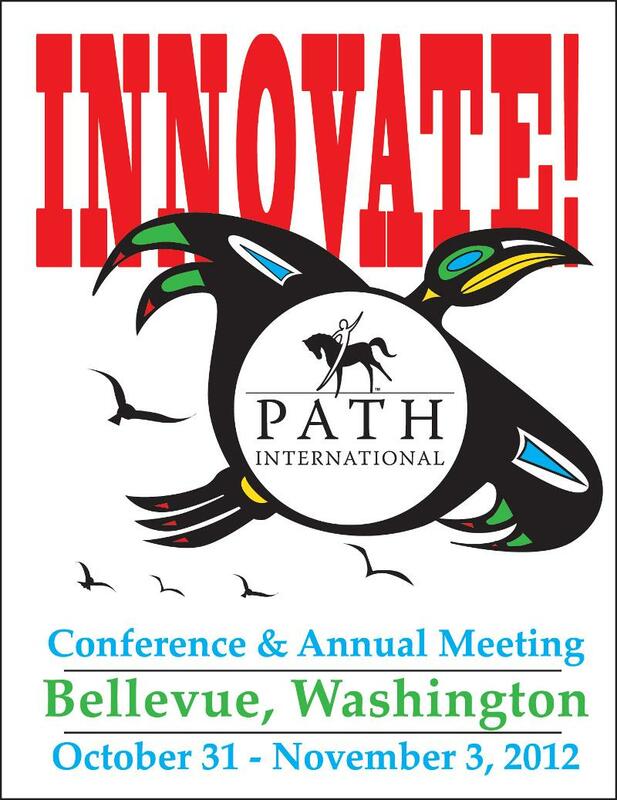 The Equine Welfare Community Group will present an EWC PowerPoint Best Practices for Equine Care & Welfare by EWC member Patty D'Andrea at the PATH Intl. Pre-conference event, October 30th in Bellevue, WA. Click here for information on the pre-conference events. If you are going to conference, stop by and see Patty, Jayna Wekenman and/or Cathy Languerand at the Equine Welfare Community booth! If you would like to become a member/participant of the Equine Welfare Community through Community Connections, please log in to your account on the PATH Intl. website. While in your account, choose "My Communities" and find or search for the Equine Welfare Community to join. You will be asked some information to establish your profile and then you may join in on topic conversations or start your own with regard to our equine partners. The "Best Practices for Equine Care & Welfare" manual/handbook will be available soon to members at no cost on the PATH Intl. website. More information will be available soon. As always, the PATH Intl. Equine Welfare Committee invites your comments, suggestions on how we can better serve you in partnership with our equines, feedback and ideas for "Tips" to be presented in the eNews. Send ideas, thoughts and feedback to: Kristin Mason, EWC chair. Thanks for your support, involvement and dedication to our equine partners and our PATH Intl. association! Chester, PATH Intl. Region 5 Equine of the Year, at the Bakas Equestrian Center, a PATH Intl. Premier Accredited Center in Tampa, was recently featured on a Channel 10 news report in Florida. Click here to read the story and watch the video of this amazing disabled horse that helps those with special needs. Chester will be honored along with the other region winners at the PATH Intl. Awards Banquet, November 2.